Taking a little break from football foods today, in honor of Chinese New Year, tomorrow! I had originally gotten a Kung Pao Chicken recipe from Sing For Your Supper. I have made a bunch of her dishes and they are always excellent! I’m sure you’ll see me blog about her recipes in the future….but in the meantime, you should definitely check out her blog for yourself! OK back to the recipe…..I used her chicken recipe, but just swapped the chicken with approx. 1 pound of large, deveined shrimp. 1lb uncooked, deveined, shell removed large shrimp. Combine shrimp and cornstarch in a small bowl and toss to coat. 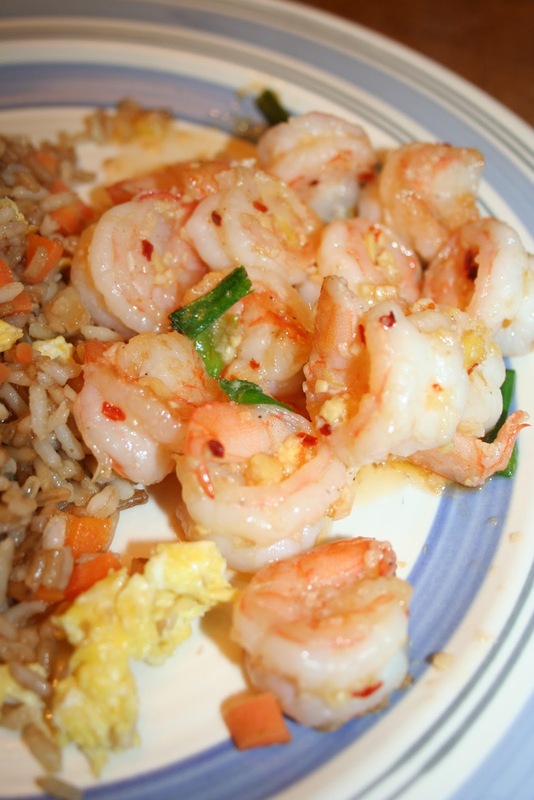 Heat sesame oil in wok (or large deep-dish skillet) over medium heat, add shrimp and stir fry approx. 5-7 minutes (or until pink and fully cooked). Remove shrimp from wok. Add onions, garlic, red pepper flakes and ginger to the wok and stir fry for 15 seconds. 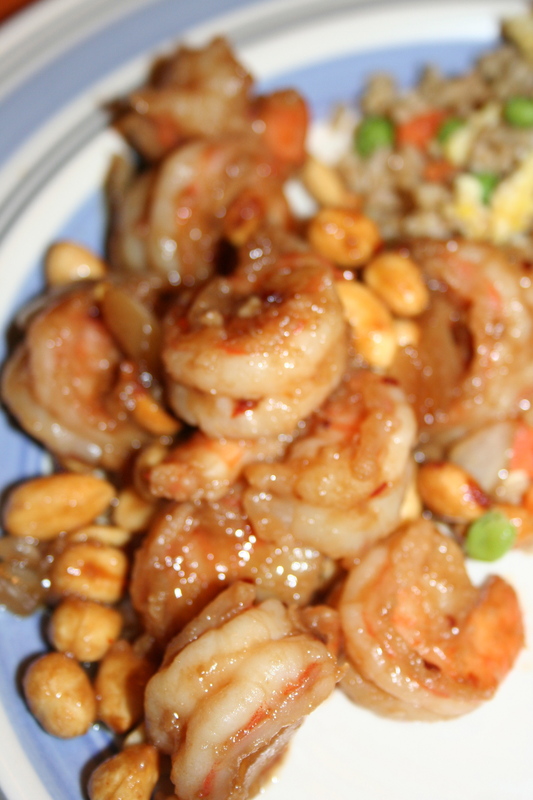 Return shrimp to the wok and coat with sauce. Stir in roasted peanuts. Heat thoroughly. Place over white or fried rice.